"When conversations go wrong, when our best advice is ignored, when we get upset with the advice that others give us, when our subordinates fail to tell us things that would improve matters or avoid pitfalls, when discussions turn into arguments that end in stalemates and hurt feelings – what went wrong and what could have been done to get better outcomes?" 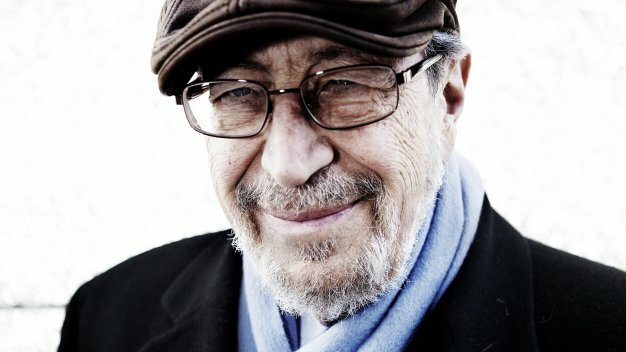 Author Edgar Schein immediately tells us the answer is simple, but its implementation is not. Hmmmm, I think I’ve heard that one before! Yet, when we stop and think about it, we know it is true. The solutions for many of our problems and challenges lie in small changes that, if undertaken, would go a long way to resolving the issue at hand. Get better at listening to, and acknowledging, others. All three behaviours are important. All three behaviours are inter-dependent. Yet it is the art of asking more (and better) questions that unleashes the magic of the triad. "It has always bothered me how even ordinary conversations tend to be defined by what we tell rather than by what we ask. Yet all my teaching and consulting experience has taught me that what builds a relationship, what solves problems, what moves things forward is asking the right questions." We have all been in situations where one or two people seem to dominate a conversation. And if we are honest, we will acknowledge that sometimes those dominant voices are our own! We have been socialized to demonstrate our knowledge and not the lack of it. Schein suggests this is because we live in a culture that values problem-solving and task accomplishment over building relationships. Asking questions can seem to be an admission that we are not competent or informed or savvy. And so we avoid it. I had the good fortune of working for a manager that understood the value of asking questions from a place of curiosity. During our supervision meetings, she would often say things like, “Tell me more about that”, “Why do you think that is the best course of action?” and “What do you think the next step should be?” Her demeanor and tone of voice clearly demonstrated her curiosity – the questions were not asked from a stance of challenging my choices or ideas; she truly was interested in why I was making certain recommendations or pursuing a specific outcome. Over time, we cultivated a strong working relationship and I valued the input she offered because I knew she had my best interests at heart. "Here-and-now humility is how I feel when I am dependent on you. My status is inferior to yours at this moment because you know something or can do something that I need in order to accomplish some task or goal that I have chosen." This concept really caught my attention, particularly because of how important, yet challenging adopting this form of humility can be for those in leadership or management positions. Schein notes that it is easy to see and feel here-and-now humility when you are the subordinate in a power relationship (and we all have been there done that!) It is less visible with one’s peers and often invisible if you are the boss. And yet, the types of tasks many organizations are facing today require collaboration and mutual inter-dependency in order to achieve a measure of success. Leaders who adopt ‘here-and-now humility’ are able to acknowledge they are de facto dependent on subordinates and other lower status team members in order to achieve their desired outcomes. They recognize the value that building trusting relationships with their staff creates, namely more open communication and a corresponding desire to be helpful. "When the choice is between your or me, look for a way to explore us, the relationship itself." The above quote sums up what I call ‘a light bulb moment’ – that nanosecond when you connect the dots between two ideas, or an experience and a higher life lesson. It’s a light bulb moment that Schein had after he overlooked an opportunity for humble inquiry in his personal life (and yes, the opportunity did involve tea – English tea with his new bride). In a world where we have also been conditioned to look at things from an ‘either-or’ perspective, the reminder to look for a third alternative is a worthy light bulb moment. It is easy to get tunnel vision, to put your head down and just plow ahead on the tasks at hand rather than take a longer view and slow down enough to build relationships. He notes that these small changes in the moment avert the need for larger changes later. It reminded me of the adage, “If you don’t have the time to do it right, when will you find the time to do it over?” Sometimes you need to slow down in order to go fast. Schein packs an awful lot of wisdom in 110 pages. He illustrates his points with stories that all of us can relate to and ends each chapter with questions for us to reflect on. I believe Schein is right in his assertion that we will get better outcomes at home, at work and in our communities if we learn the ‘art of asking instead of telling’. I came looking for some guidance on how to ask better questions – a new approach, a novel technique. I am a facilitator with a strong desire to hone my craft. What I came away with was far more powerful – lessons on the art of building deeper, more open relationships with people in all spheres of my life. And permission to not have all the answers. Have you had someone in your work or personal life that demonstrated the essence of humble inquiry? How did they convey a sense of genuine curiosity and ‘here-and-now’ humility?